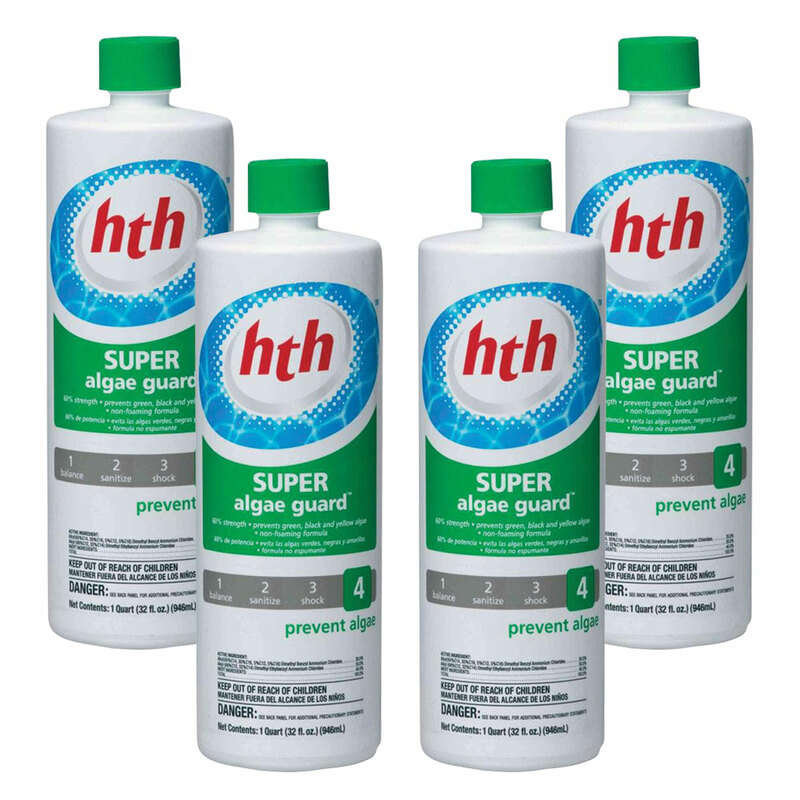 The HTH Super Algae Guard is designed to treat up to 32,000 gallons of water. 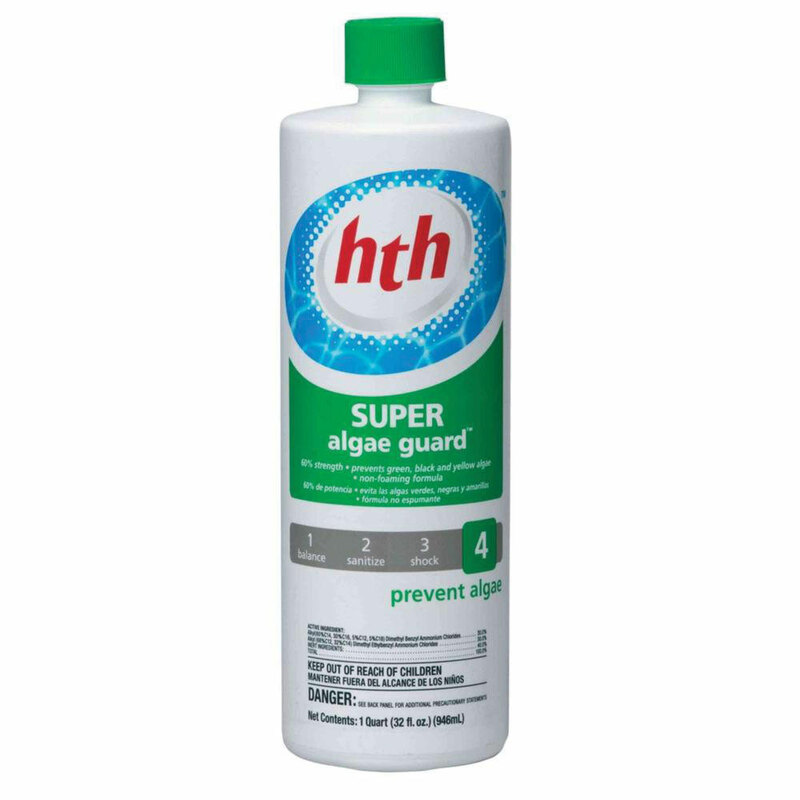 It features a non-foaming formula and works to eliminate green, black and yellow algae. HTH is manufactured by Lonza. Lonza is a leading specialty chemical manufacturer and supplier to the global water treatment market. Our product technologies are used to control the growth of microorganisms such as bacteria, algae and fungi in everything from pools and spas to drinking water to food hygiene and industrial cooling, papermaking and related markets. 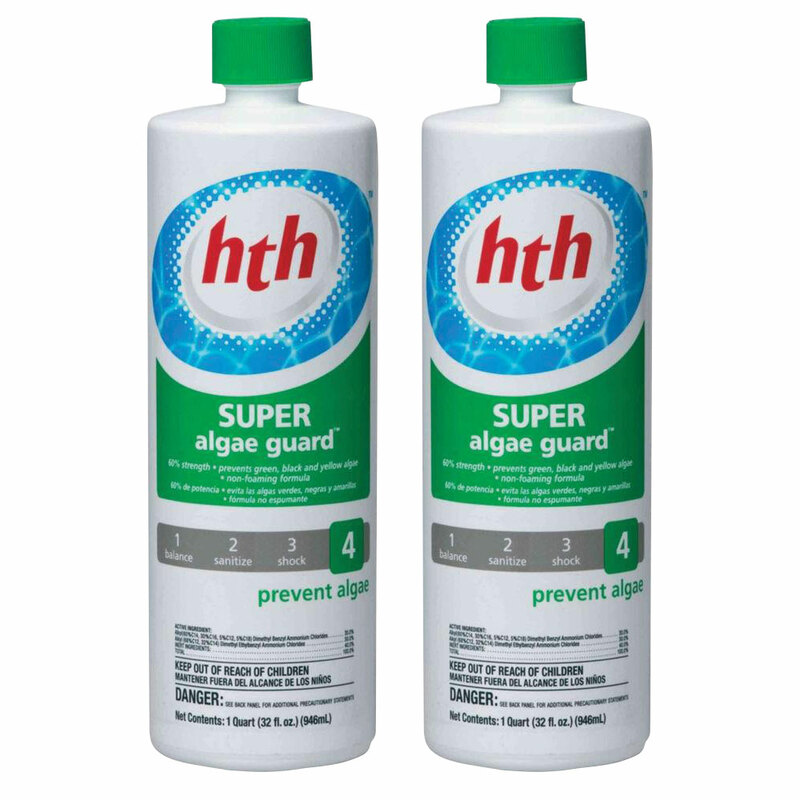 With its 2011 acquisition of Arch Chemicals, Lonza became the world's largest supplier of swimming pool and spa sanitizers and related treatment products, including the world-famous HTH brand of chlorine-based sanitizers. Lonza also offers, through the Arch Chemicals subsidiary, the bromine-based Leisure Time and Brilliance for spas sanitizers, the PHMB-based Baquacil family of products as well as Pulsar feeders and sanitizers for commercial pools and water parks. 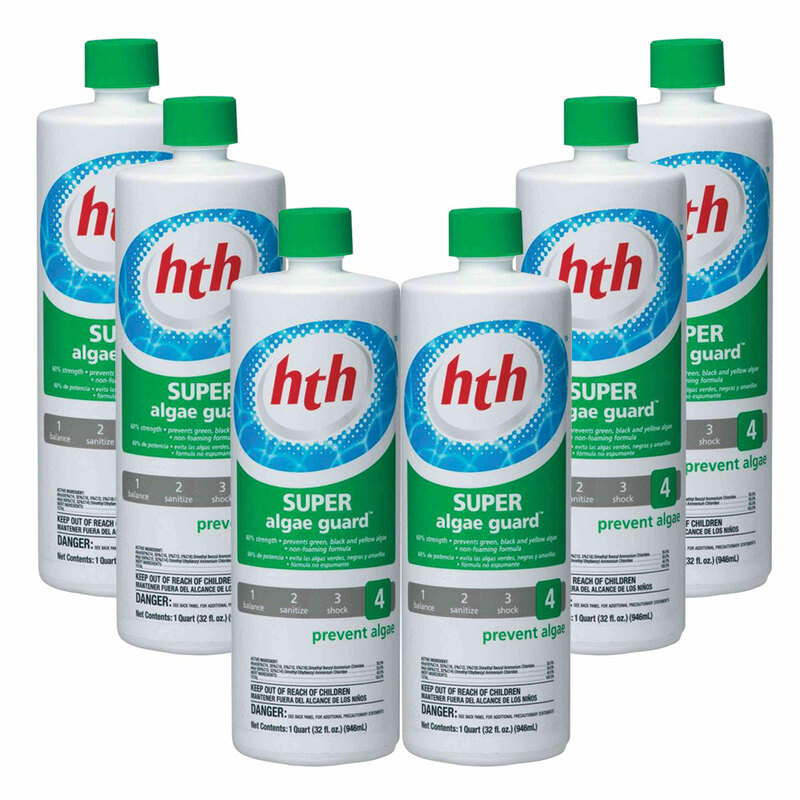 Our well-known and popular brands BAQUACIL BaquaSpa Being Brilliance HTH PooLife Pool Breeze and Pulsar are recognized around the globe. This product ships UPS GROUND from our warehouse within ONE business day from the date the order is placed. Business days are Monday-Friday, excluding observed holidays. After the item leaves our warehouse, you will receive an email with a tracking number so that you may track the delivery. For your delivery information please refer to the UPS map for the delivery time to your zone. Please be aware that delivery can be influenced by a number of factors, including the weather, holidays, and unforeseen events. UPS Ground delivers Monday through Friday. View our shipping information page for more details. If you have any questions regarding the shipment or delivery of this product please contact us at 877.527.4881, or email customercare@splashsupercenter.com. PLEASE NOTE: While we ship 98% of all orders via UPS Ground, occasionally smaller packages will ship either by UPS SurePost or USPS. Orders shipped by these carriers may take 1 business day longer than UPS GROUND . here does not indicate their approval or endorsement of Splash Super Center®.